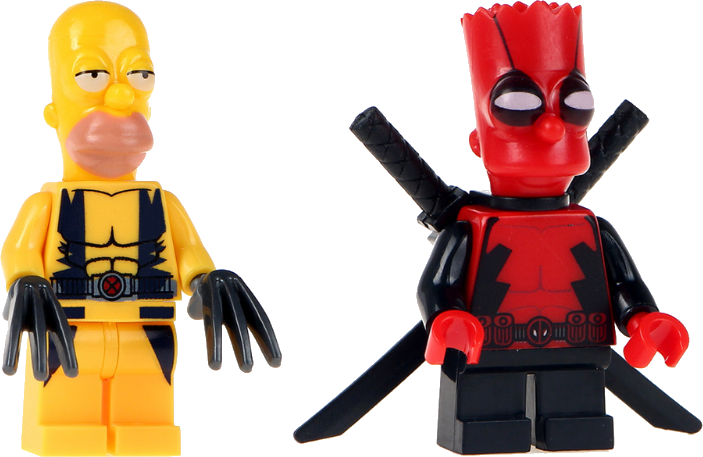 As regular readers know, I supplement my Lego minifigure habit by trawling through knock-off sites that sell them cheap. Is that Homerine and Bartpool? I guess if Disney buys Fox, this could happen. Posted on Friday, April 13, 2018 Tuesday, April 10, 2018 by GaryPosted in UncategorizedTagged Lego. Next Next post: Go West!